IF YOU LOVE INDIAN FOOD & YOU LOVE PIZZA, YOU’VE GOT TO TRY PAPA PANCHO PIZZA! 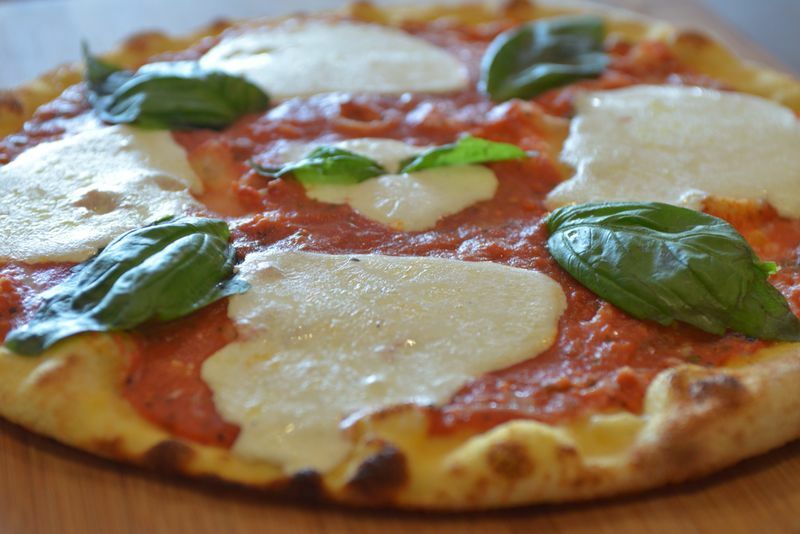 We serve delicious brick oven pizzas with unusual toppings that work! Papa Pancho was started with an aim to popularize Indian food beyond it’s traditional scope. The idea took seed when Kamal Arora, CEO of Arora Hospitality Group, visited Naples, Italy on a family vacation. He noticed that the pies of true Neapolitan pizza were very unlike the crisp-crusted New York-style or hefty Deep Dish Chicago-style pies. They were more akin to the Indian Naan bread that is almost synonymous with Indian cuisine. While in Italy, Kamal talked to pizzaioli (pizza chefs), studied wood-fueled brick ovens that require a minimum temperature of 800°F, watched dough being stretched and topped, and imagined Indian flavors and toppings on them. Once back in the US, he hired a team of experts to work on his idea and Papa Pancho started taking shape. Italian Gelato is also on the menu to round of your meal on a sweet note. Think you can handle the Spiciest Pizza in the State? Watch Food Guru Pete Genovese and Casey Webb of ‘Man Vs Food’ try! (Red Onions Roasted Garlic Blend of different Peppers, Pineapple, Cheese with extra spicy sauce made from spiciest hot peppers from around the world) *Customers eat this pizza at their own risk and agree not to hold Papa Pancho liable for any physical or emotional damage after eating it. (Grilled Chicken, Red Onions, Roasted Garlic, Blend of different Peppers, Pineapple, Cheese, with extra spicy sauce made from spiciest hot peppers from around the world) *Customers eat this pizza at their own risk and agree not to hold Papa Pancho liable for any physical or emotional damage after eating it.